Although this website / blog is mainly dedicated to travel in the South, on occasion we will highlight other fun areas Southern-Traveller has visited and thinks readers may enjoy. Today’s story takes you to some unique farms in the Phoenix, AZ, area that focus on agri-tourism. (This article recently won 3rd place in the International Food, Wine & Travel Writer’s Association’s 2013 Infinity Publishing Awards. (See link below). 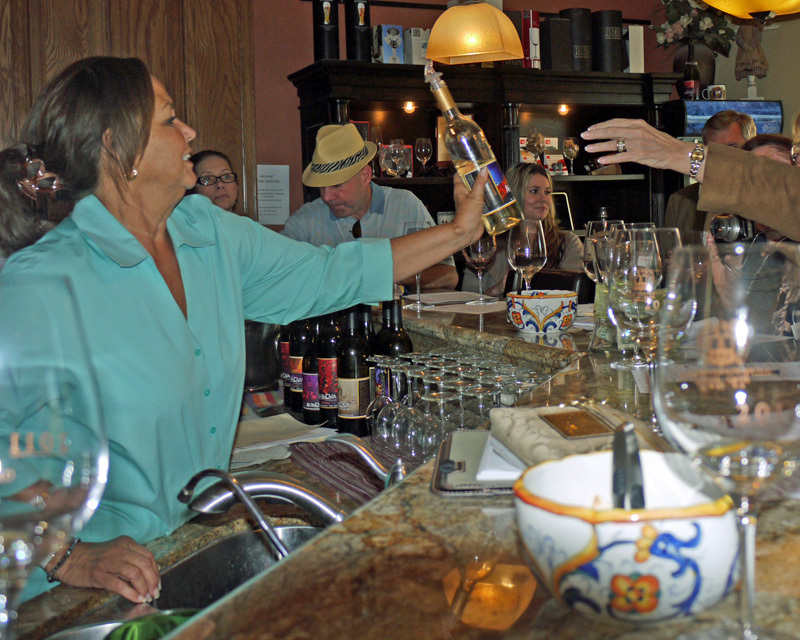 Wine Tasting at Alcantara Vineyard on the Verde Valley Wine Trail near Phoenix. OK. I know what you’re thinking! This website is all about The South (North & South Carolina, Georgia, & Florida), so what is a story about Arizona doing here?Well, technically Arizona is in the south-the Southwest–that is! I was recently invited to visit Phoenix for a week with a group from the International Food, Wine & Travel Writer’s Association of which I am a member. It was such a great trip that I can’t help but share some of my stories from it.